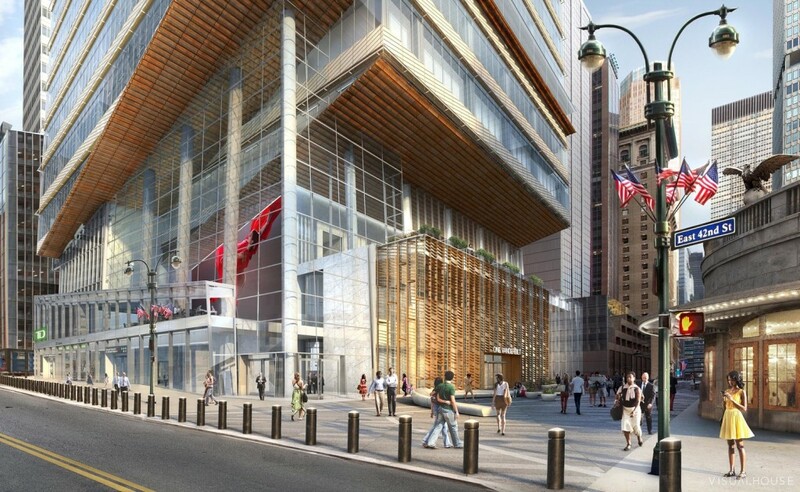 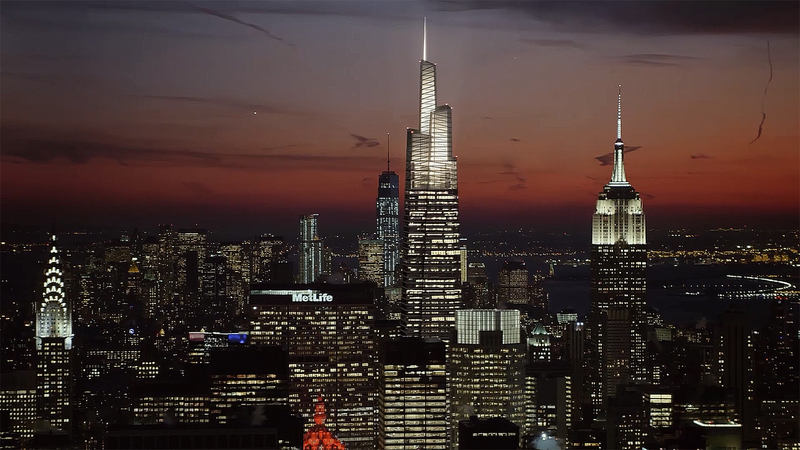 The digital production studio Visualhouse has posted on their website our first motion video look at SL Green’s 63-story office tower known as One Vanderbilt. 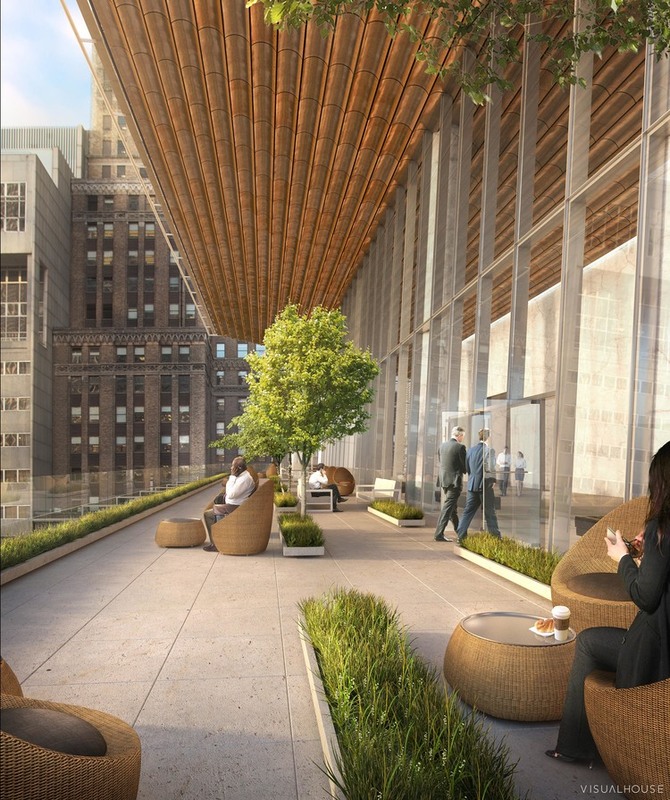 Hailed to forever change the face of Midtown East and reinvigorate the business district, the $1 billion-plus, 1.6-million-square-foot tower was unanimously approved by the City Council this past summer, thus granting SL Green the green light to begin construction of the supertower immediately. 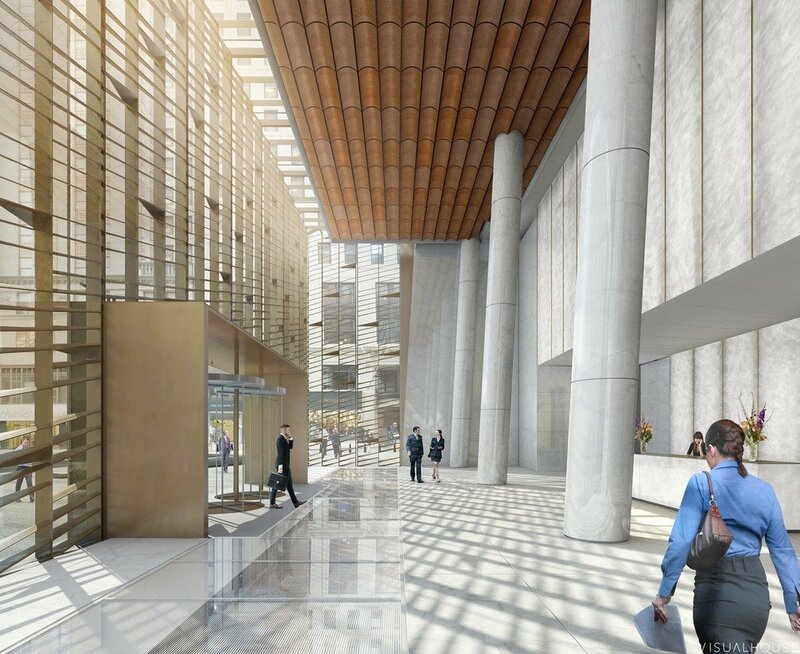 Visualhouse’s newly released film and renderings provide us with a clearer picture of how the building’s full-block base will meet the street, and also remind us just how gargantuan the tower will be. 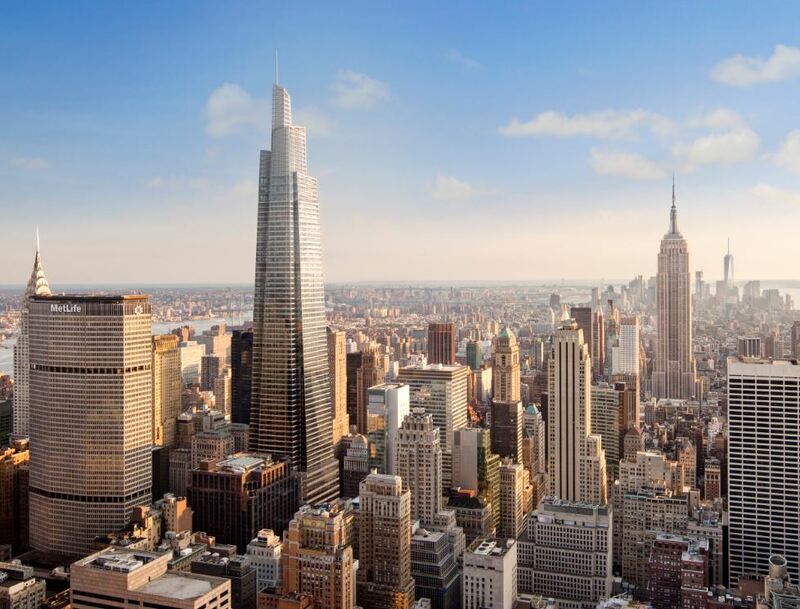 According to the tower’s architects Kohn Pedersen Fox (KPF), the tower will rise 1,501 feet to its spire, making it the third tallest building in the city upon completion. 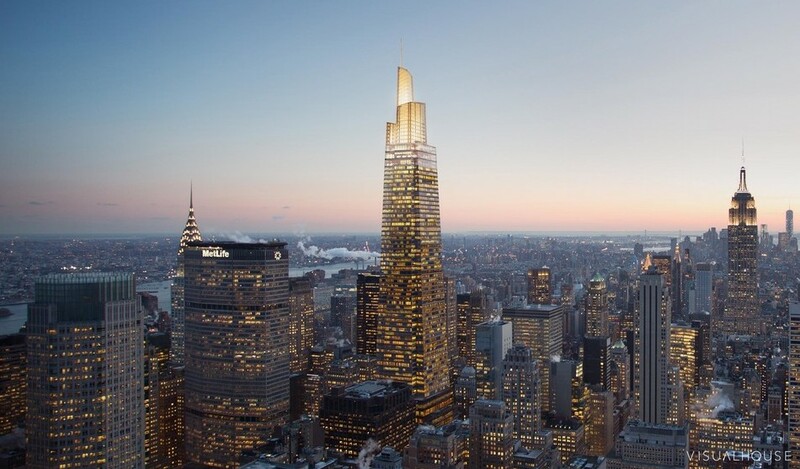 However, unlike the pencil-thin supertalls underway around Central Park, the project will throw up a substantial amount of bulk into the air. 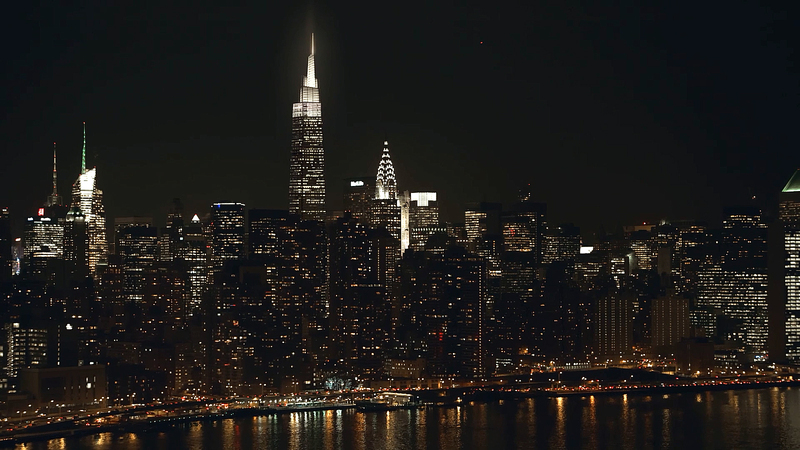 The new nighttime depictions show the office floors will be topped by a sizable illuminated crown that is sure to join the Chrysler and Empire State Building as nighttime skyline fixtures.